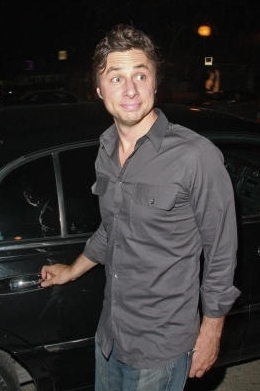 Zach at Crown Bar, LA, 25th September 2009. . Wallpaper and background images in the Zach Braff club tagged: zach braff scrubs photo 2009 25th september crown bar los angeles dinner. This Zach Braff photo might contain 자동차, suv, and 트럭.